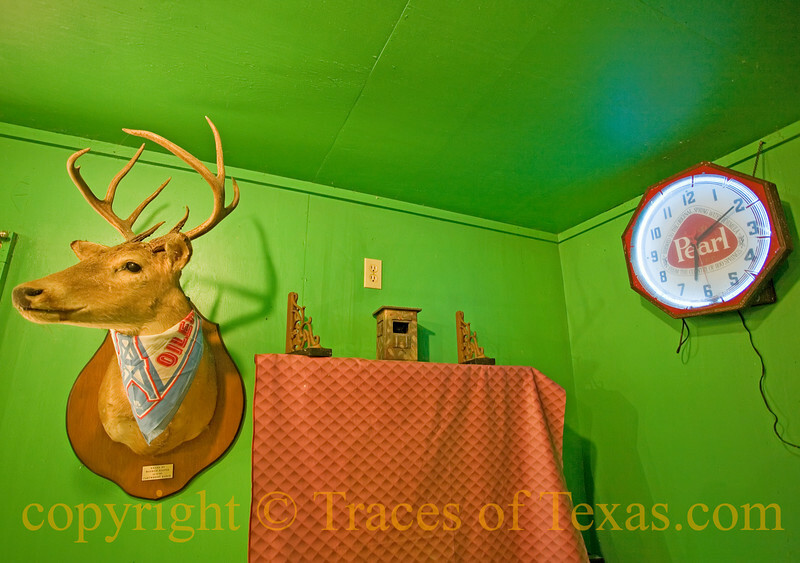 Comments: As you can tell, the Tofel Bar uses an ancient Texas system of aesthetics that places stuffed deer heads and old Pearl beer clocks in perfect counterbalance with one another in order to achieve a zen-like state of honkytonk harmony. Mind you, this is no accident. It takes years of study to achieve this kind of casual, offhand mastery.